Born in Bergamo, the son of a man who rose no higher than holding the door at the local pawnshop, Gaetano Donizetti was fortunate enough to find a patron in Simon Mayr, the Maestro di cappella at Bergamo Cathedral. It was Mayr who secured the young Donizetti’s first professional commission, Enrico di Borgogna given in Venice in November 1818. So began 12 years of apprenticeship, with the composer learning his craft first in the opera houses of northern Italy and then from 1822 in Naples, where six years later he was appointed director of the royal theatres. At last came the first palpable hit, Anna Bolena, Donizetti’s 31st opera, given its premiere in Milan in 1830 and starring two of the most admired singers of the age, Guiditta Pasta and Giovanni Rubini as Anna and Percy. Within a decade Donizetti’s take on the Tudors had conquered Europe and crossed the Atlantic to New York and Rio de Janeiro. Ever restless as he raced towards impossible deadlines, Donizetti composed 25 operas in the next eight years, including L’elisir d’amore, Lucrezia Borgia, Maria Stuarda, Roberto Devereux and Lucia di Lammermoor. A consummate craftsman with an ear for what audiences wanted, he shaped his music around his singers and kept the story simple. As he wrote to Jacopo Ferretti, his librettist for Torquato Tasso, ‘Success consists of doing little and making that little beautiful, and of not singing a lot and boring the audience.’ By inclination, perhaps, a radical, Donizetti never outpaced that audience, developing the operatic forms that he had inherited from Rossini rather than reinventing them. 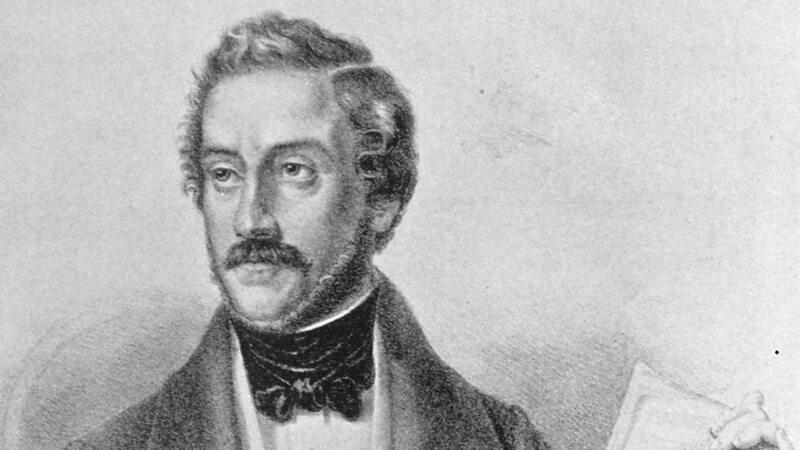 Personal misfortune struck in the late 1830s: Donizetti lost his parents and then his wife Virginia died in childbirth. And weary of the heavy-handed censorship that insisted that royalty should be seen as immaculate, religion inviolable and that anything that might ‘induce loathing or disgust in the spectator’ shunned (the very things that a properly Romantic composer longed to stage), Donizetti decided to go to Paris, which prided itself on being the musical capital of the world. 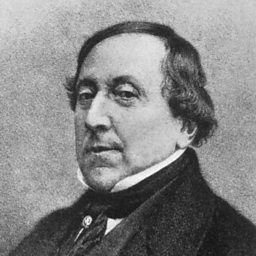 In 1838 the composer accepted an invitation from Rossini to write for the Théâtre-Italien. Marino Faliero, Donizetti’s first Parisian opera wasn’t quite the triumph he had hoped for, but in time he made the city his own. There were comedies – La fille du régiment and Don Pasquale – for the Opéra-Comique and the Théâtre-Italien, and at the Opéra de Paris Les martyrs and Dom Sébastien. In the meantime the composer had been appointed Hofkapellmeister to the Hapsburgs in Vienna. When his health began to fail Donizetti’s friends diagnosed ‘overwork’. His nephew Andrea came to Paris in January 1846 and finding his uncle irrational and unpredictable agreed with the doctors that he should be placed in a secure institution. The following year Donizetti was taken back to Bergamo where he died on April the 1848. An autopsy reported that the composer who had composed 65 completed operas in 32 years had died of ‘cerebro-spinal syphilis’. Domenico Gaetano Maria Donizetti ( (listen); 29 November 1797 – 8 April 1848) was an Italian composer. Along with Gioachino Rossini and Vincenzo Bellini, Donizetti was a leading composer of the bel canto opera style during the first half of the nineteenth century. Donizetti's close association with the bel canto style was undoubtedly an influence on other composers such as Giuseppe Verdi. 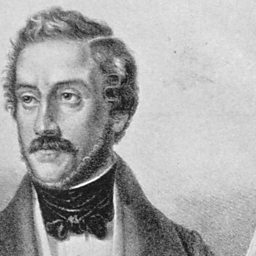 The life and work of prolific Italian composer Donizetti.